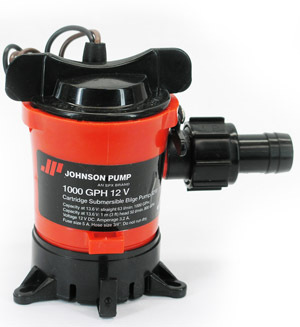 Mayfair PRO-LINE Johnson 12 volt submersible pump has powerful permanent magnet motors and 3/4" discharge. These little workhorses are the standard pumps used on gold wheels, mini-sluices and recirculating systems. Made in USA. 18 month warranty. 750 gallon per hour unit draws 2.6 amps.